Today kicks off National Public Health Week. 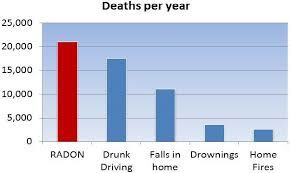 Did You Know – RADON KILLS 1 PERSON EVERY 25 MINUTES (21,000 people each year)! Test your home for Radon. Encourage friends & family to test their homes too. Beware of who you hire to put in a radon system. 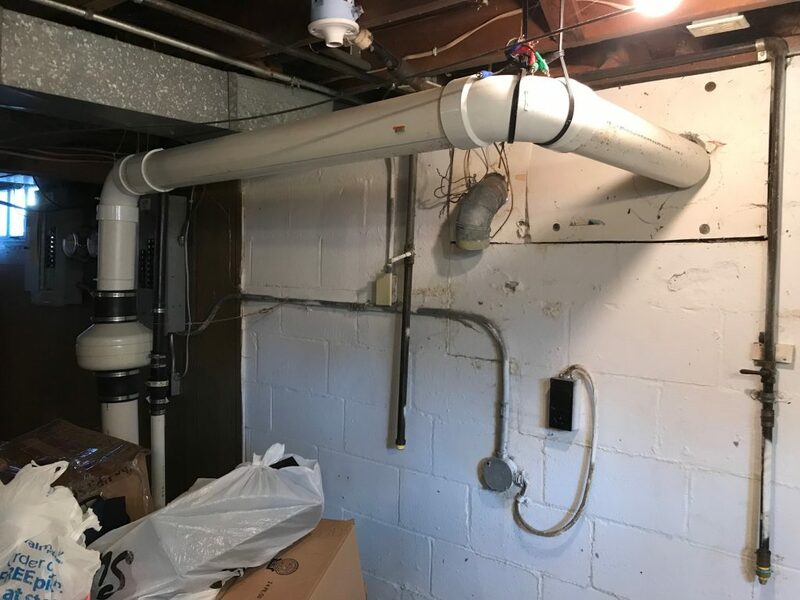 These people payed good money to have a radon system put in and now because they are selling we get the call from the listing agent asking us to fix the system because they do not meet EPA standards. The two pics are from two different jobs these week. What is wrong with both systems? 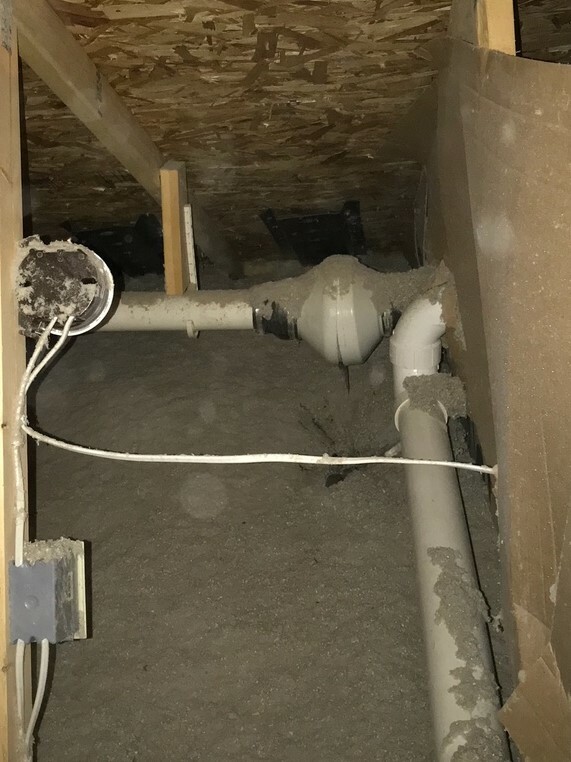 1) Radon fan can not be located in the basement. Radon fan must be located outside of the home or above the living space in garage or attic. 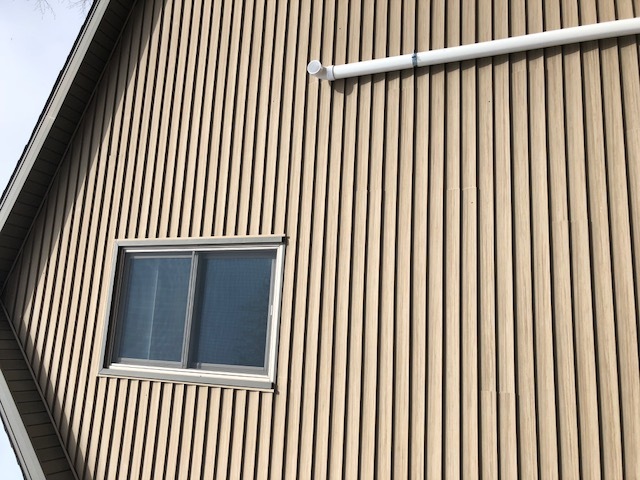 2) Discharge pipe must be a least two feet above the tallest window, or 10 feet away from it. We run into this more often than you think. A plumber tells a customer they can install a radon system for them without knowing how to do it. Few years later that same owner calls A-1 to fix the problem. In this case the fan was mounted horizontal which is a big no no. The fan must be vented vertically. This fan over time filled up with water and if you look close you can see the water inside froze and broke through the fan and began to leak in the attic and then into the home. When hiring a radon contractor make sure they are certified to install systems through the National Radon Proficiency Program. Call today to set up a Free Radon Test in home. Contact Adam 920-639-6542 to schedule a drop off.